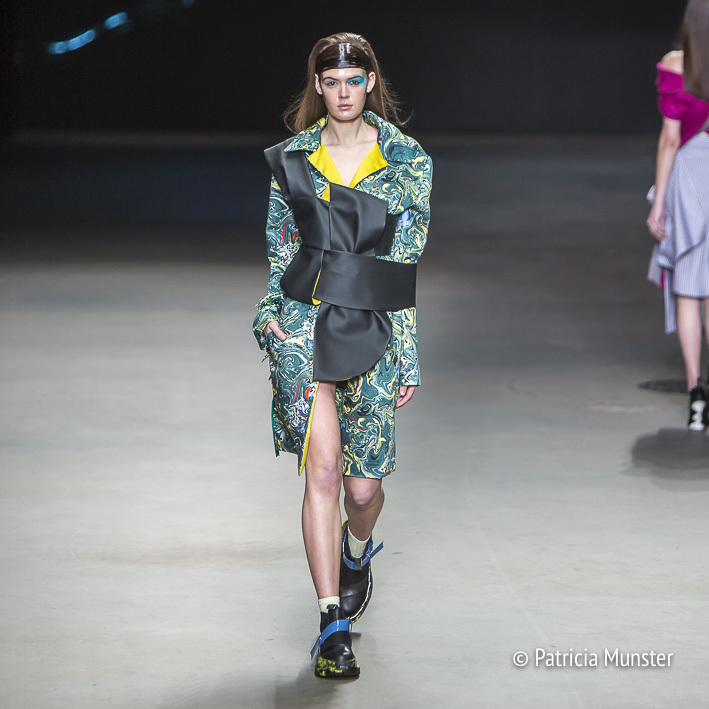 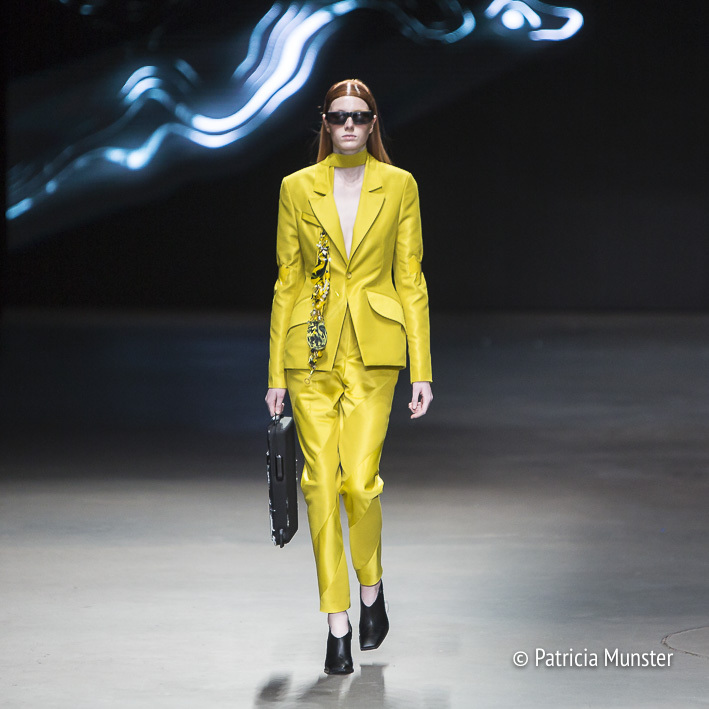 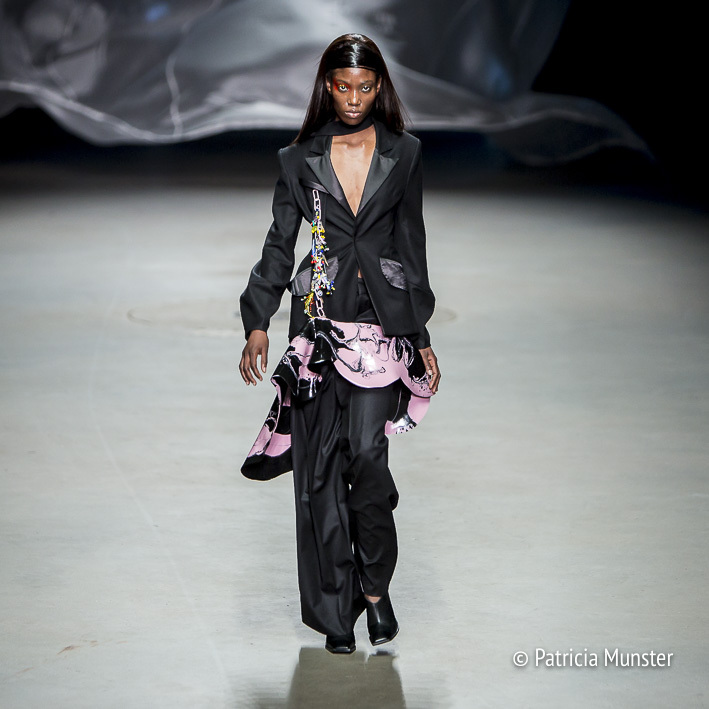 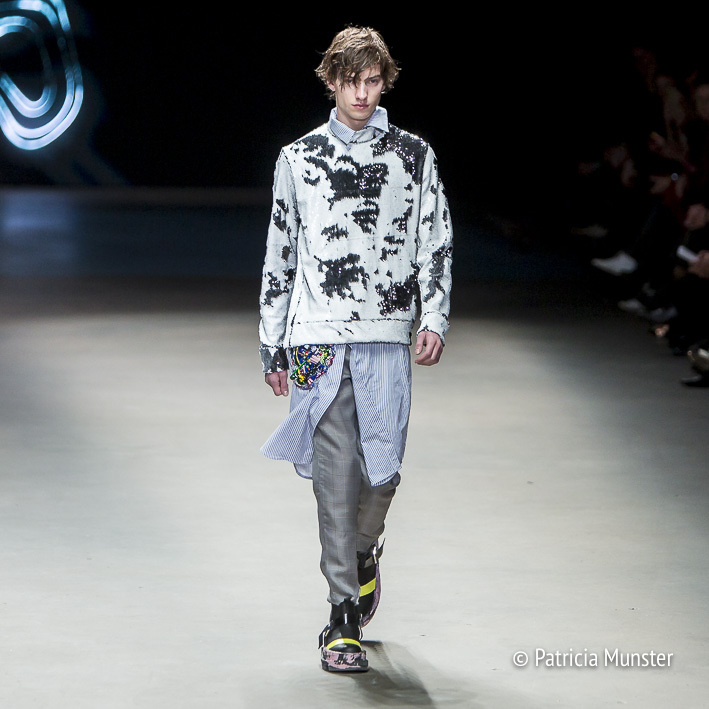 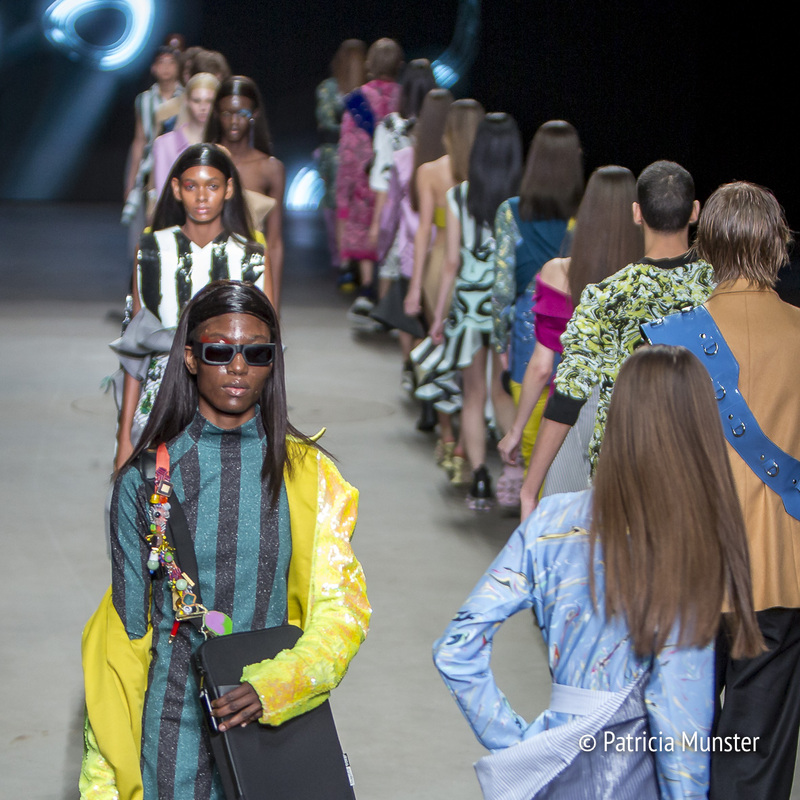 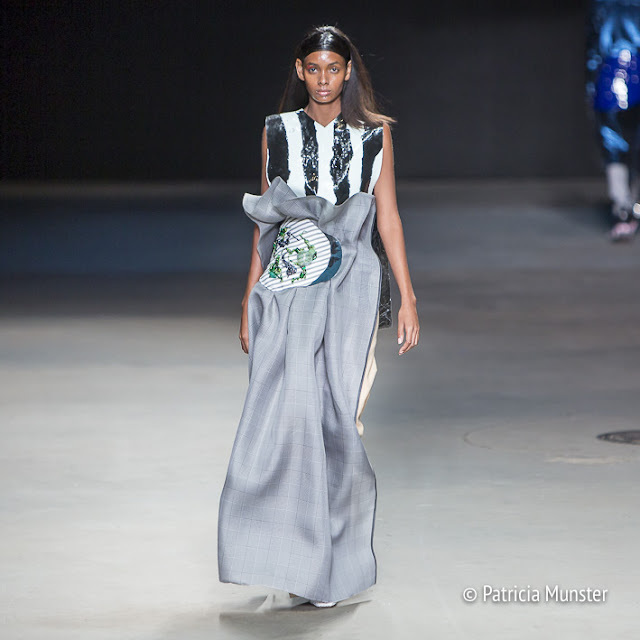 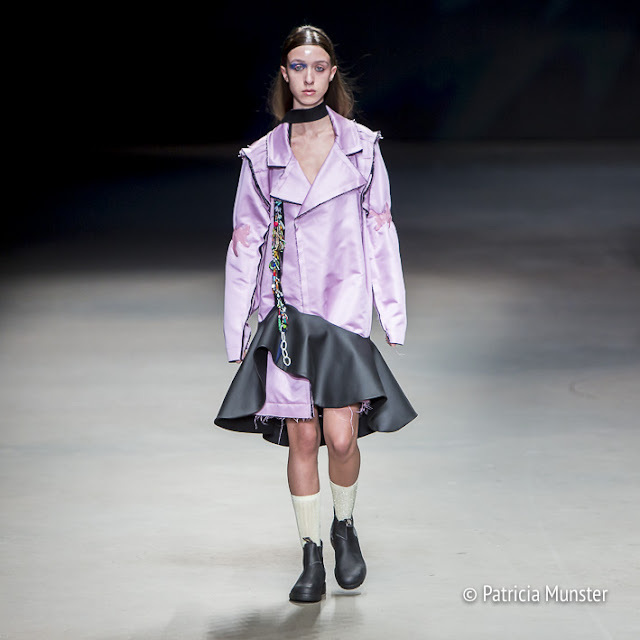 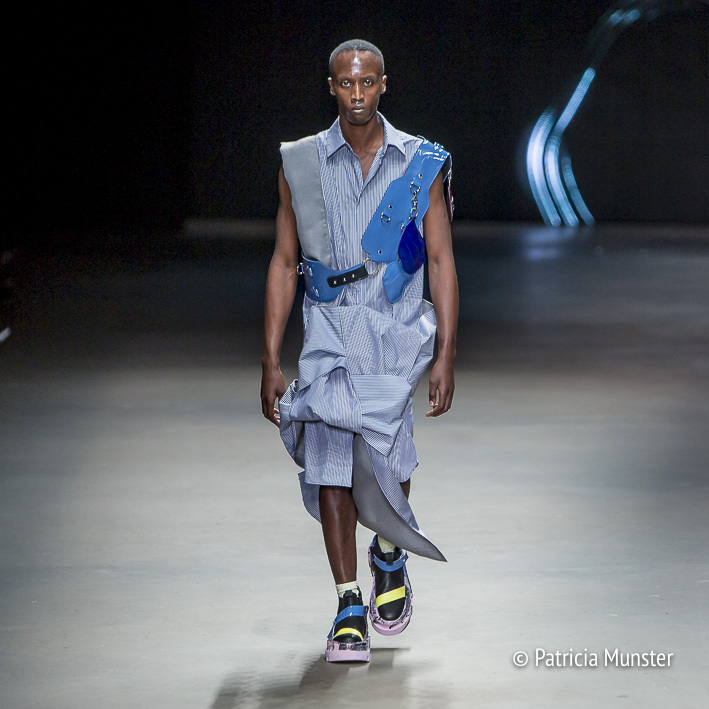 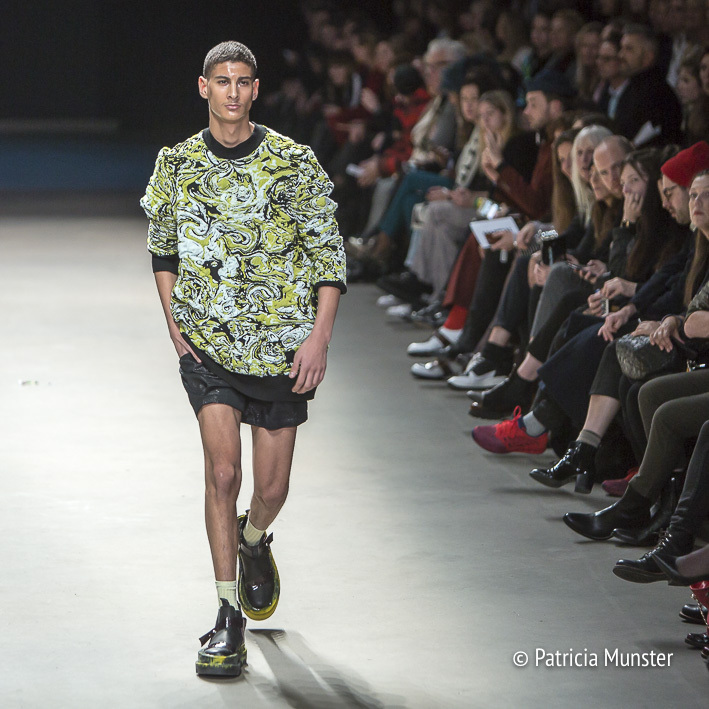 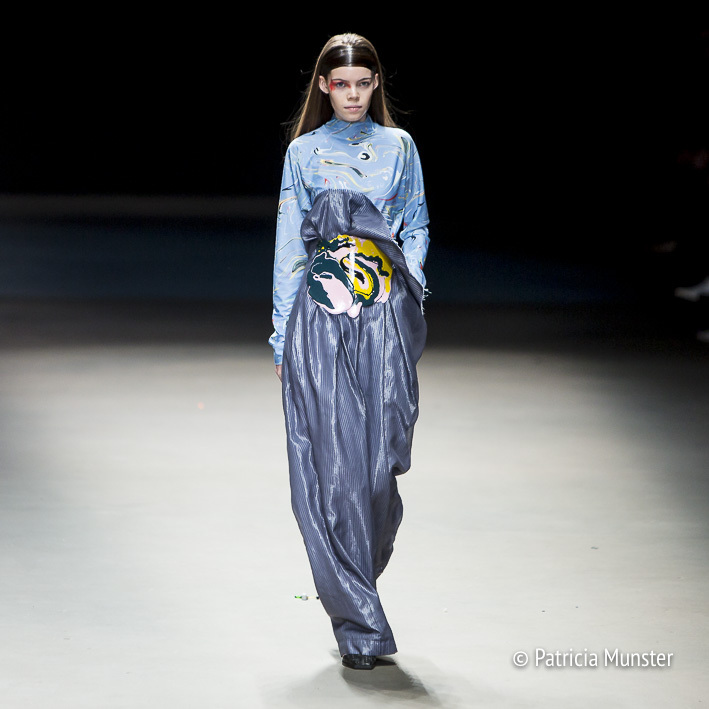 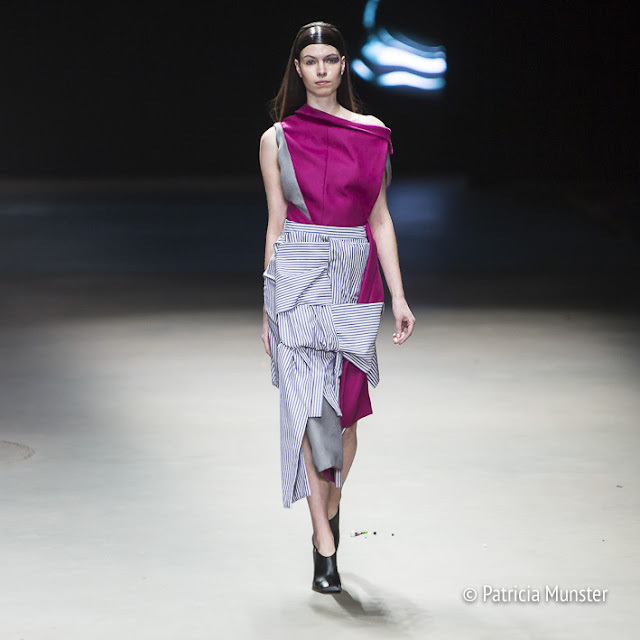 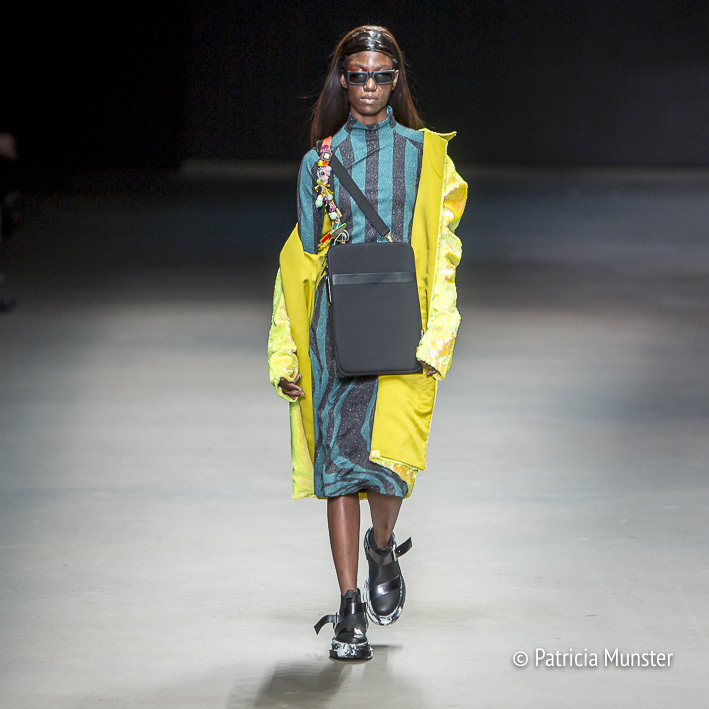 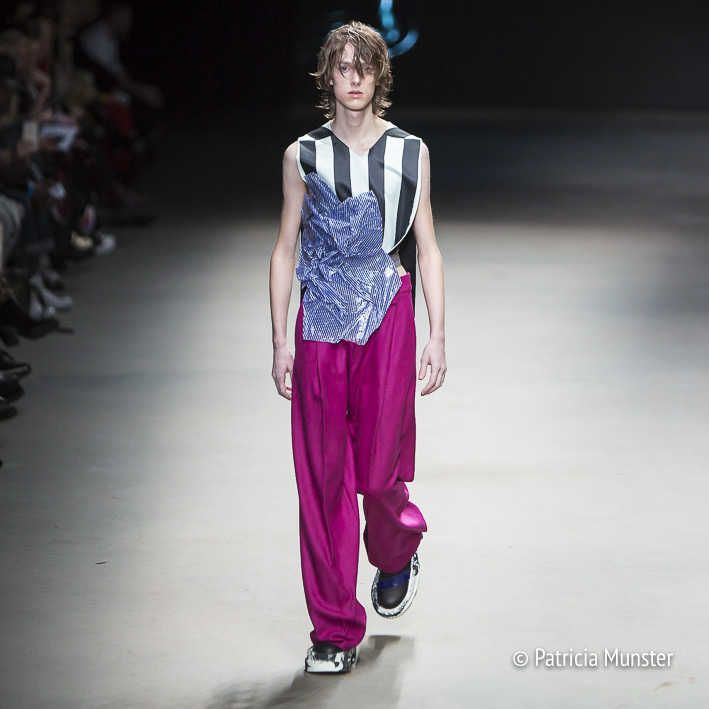 The first night of the 26th Mercedes-Benz FashionWeek Amsterdam was all about the future generation as you already have seen a glimpse of it in a previous post. 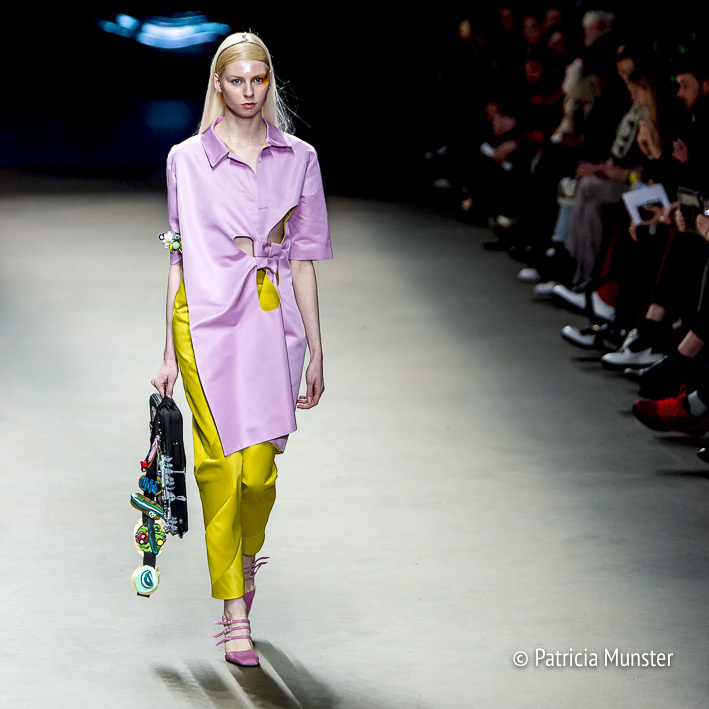 Now a closer look at the collection presented by MARTAN. It was a promising debut by Diek Pothoven and Luuk Kuijf inspired by the Bahá'í temple, the universal house of worship for all religions and spiritualities. 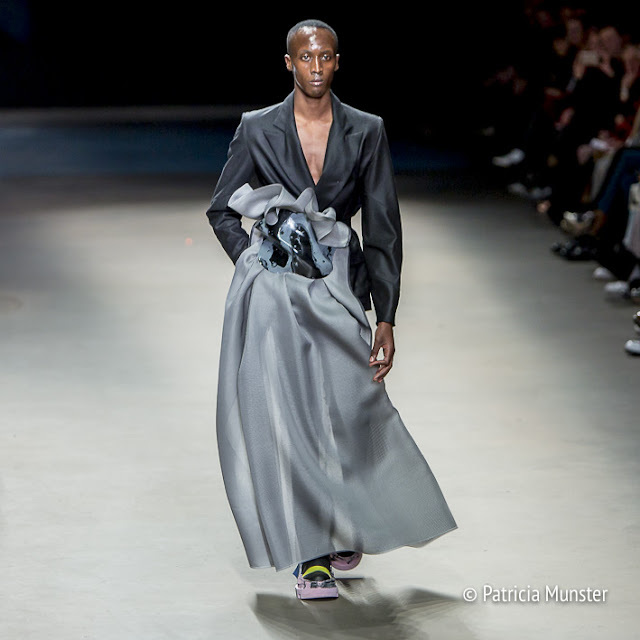 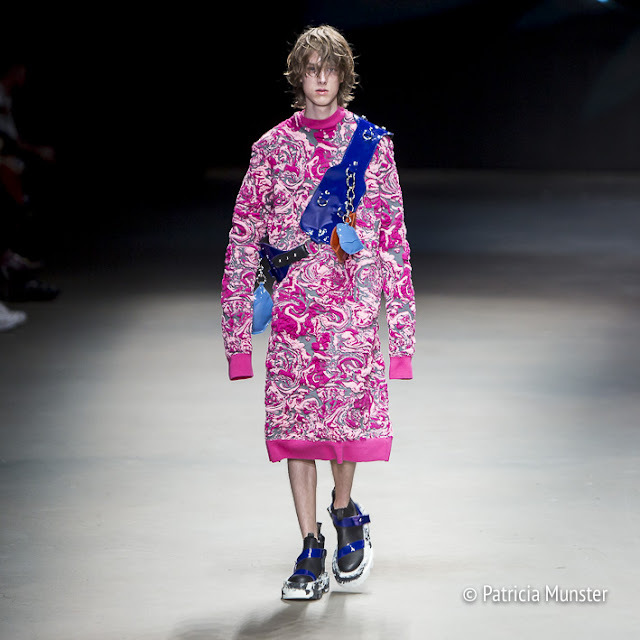 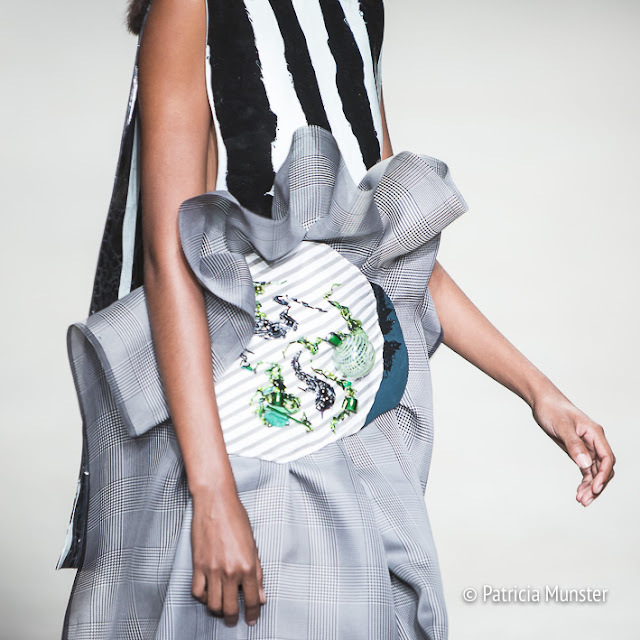 Their collection was very diverse with knitwear, overcoats, wide pants, skirts and dresses for men and women. 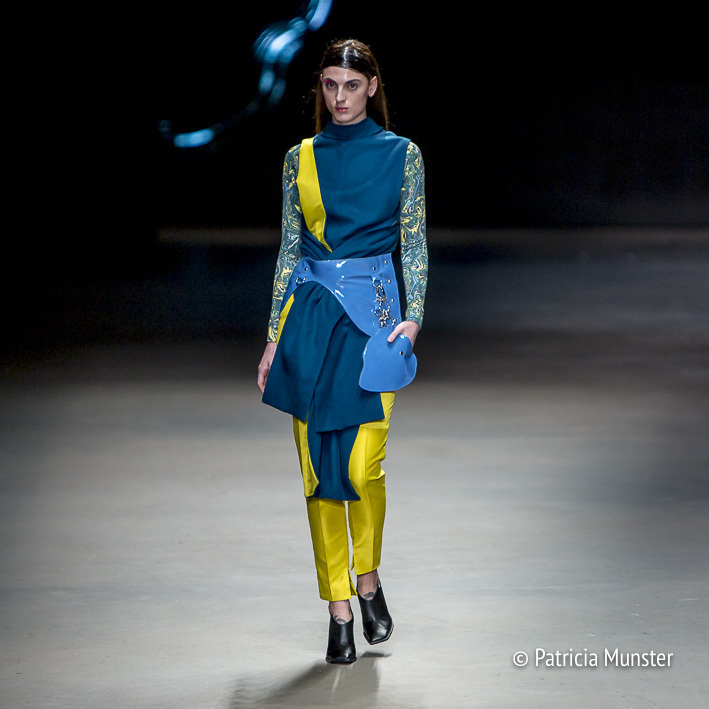 A lot of colour and colour combinations. 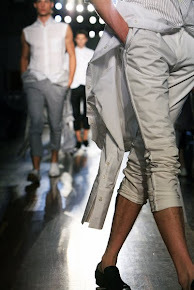 Each outfit was manufactured in a special way that it most have taken a lot of time and craftsmanship to create it. 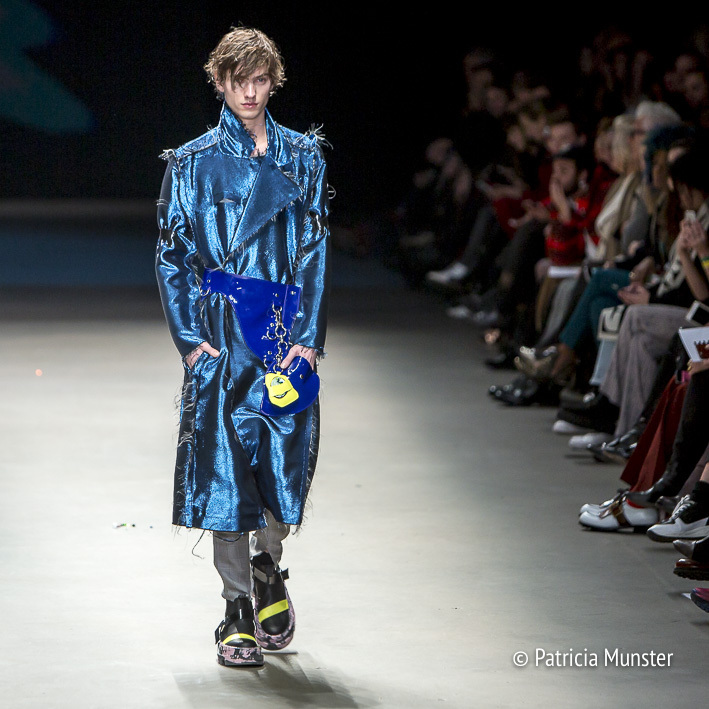 Even the handbags were ingeniously put together.